Search.hemailloginnow.com is a web page identical to many others promoted by browser hijackers. If you spot it loading whenever you open your browser, you need to be more careful about how you install freeware. The hijacker was attached to some free program that you installed and you did not notice. This is not unusual, however. Many users end up with all kinds of unwanted programs simply because they do not pay sufficient attention to what they install and how they do it. The hijacker is not exactly malicious, though it’s not harmless either. It will make changes to your browser, set its promoted website as your homepage and new tabs, and then proceed to redirect you to sponsored websites. By redirecting, the hijacker is able to make income from pay-per-click. One thing you should keep in mind is that hijackers can lead users to malicious sites, and malware could enter the computer without the user even noticing. 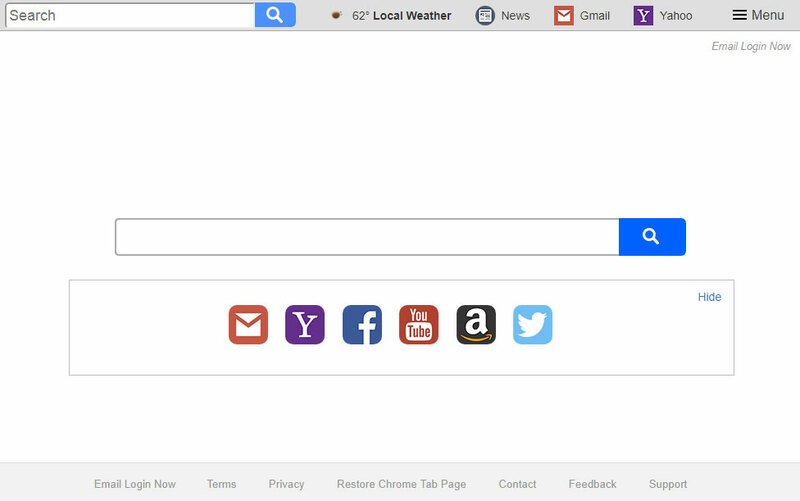 This is why you need to delete Search.hemailloginnow.com. Browser hijackers are added to freeware as one of those extra offers that you can deselect if you want. The reason why so many users install these optional items is because they do not see them. Those items are hidden. To be able to see them when installing freeware, you need to access Advanced or Custom settings. Everything that has been added will become visible there and you will be allowed to deselect all. Refrain from using Default settings because they will not show you anything. Once the hijacker is installed, whenever you open your browser (be it Internet Explorer, Google Chrome or Mozilla Firefox) you will see its promoted website loading as it’s been set as your homepage. These changes will be irreversible unless you first uninstall Search.hemailloginnow.com, which you will want to do as soon as possible anyway. The website is identical to many other ones, the only thing different is the service it provides. This one advertises itself as useful to access emails. It’s not difficult to type in the email provider URL manually so this service is pretty useless. There will be a search engine on the site but using it is not recommended as it may insert sponsored content into the results in order to redirect you. Be careful of malicious redirects as you could end up on a dangerous website and some kind of malware could enter your computer. We strongly recommend you delete Search.hemailloginnow.com. In order to be able to remove Search.hemailloginnow.com fully, you may need to obtain anti-spyware software. The program would find and uninstall Search.hemailloginnow.com without you having to do anything. Manual elimination is also possible but you would need to find the hijacker yourself, which may take a long time.